30 Animated Cartoons with Funky Tunes. Learn How to Skate Videos, Celebrate Birthdays, Holidays & More. Save Years of Practice. Get the Power in Under an Hour! Skate 101 is the Best Skate Class! It’s Safe, Convenient, Quick & Easy. No Experience or Skates Necessary. Follow Along on your Feet & Learn to Skate to the Funky Beat. 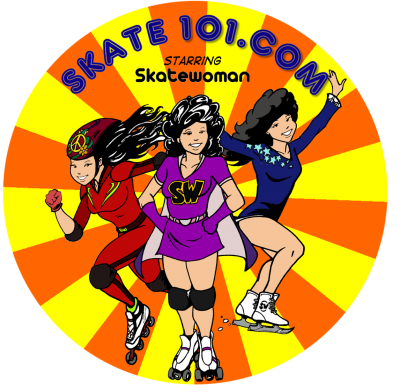 Skate 101 is Fun For Everyone! 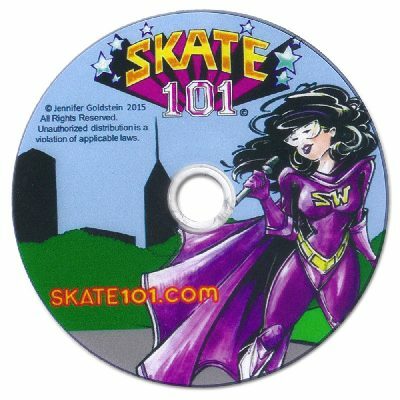 BRAND NEW FOR SKATING RINKS & CUSTOMERS, THE SKATE 101 DVD! MORE THAN A DVD—SKATE 101 IS A PROGRAM! 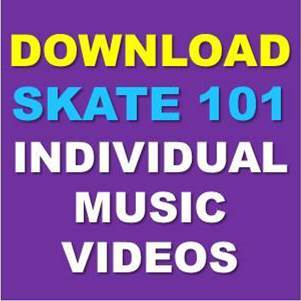 Skate 101 has a variety of ways to integrate this fun, easy learn-to-skate message into your programs. 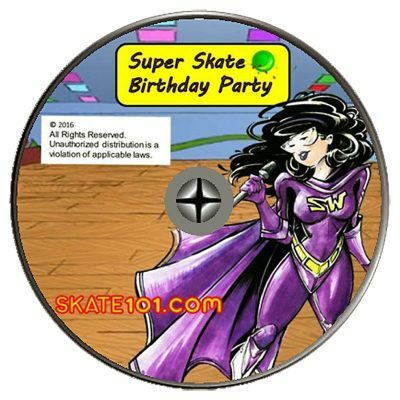 From birthday party activities to other engaging events that bring value to your skaters. Helps with events at your rink. Great addition to skate sales—plus, it offers other event opportunities in it’s 30 song lineup. 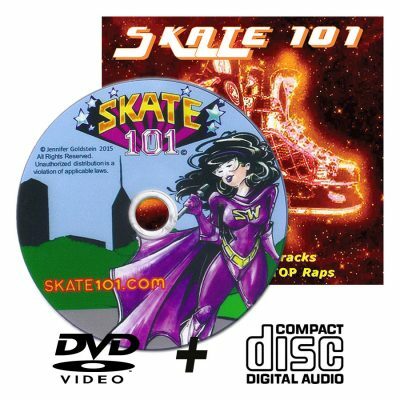 Even as an individual sale, the DVD teaches and encourages skating—creating return customers for you. Posters draw people to your pro-shop. Get listed on Skate 101 websites. 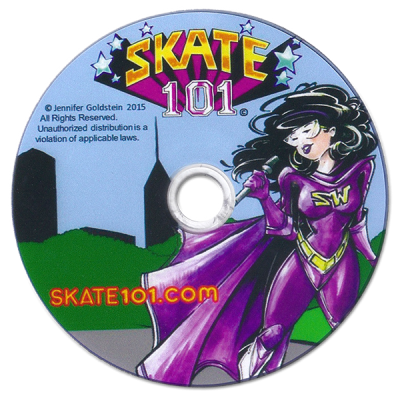 The Skate 101 DVD is a simple investment that can be added to any group event—creating additional value, standardizing ease of operation & teaching skating— while generating multiple & consistent revenue opportunities. SEE HOW THE SKATE 101 DVD—AND SKATEWOMAN—CAN STRENGTHEN YOUR BOTTOM LINE! ACT TODAY! Boogie Back Rap, Happy Birthday Skate Song, Happy Holidays Skate Song & More! Boogie Back Rap, The First & Only Instructional Backwards Skate Song! What song do you play for the beginner’s backward skate? Play this step by step, how to skate backwards song! The jam is so funky, it raced to the Top Ten Singles List of the Year in New York City’s The Village Voice!